Situated in the south of Aragón region, Teruel (35.000 inhabitants) is an ideal city to live and enjoy its interesting museums, unique architecture, traditional festivals, delicious gastronomy, among other things. 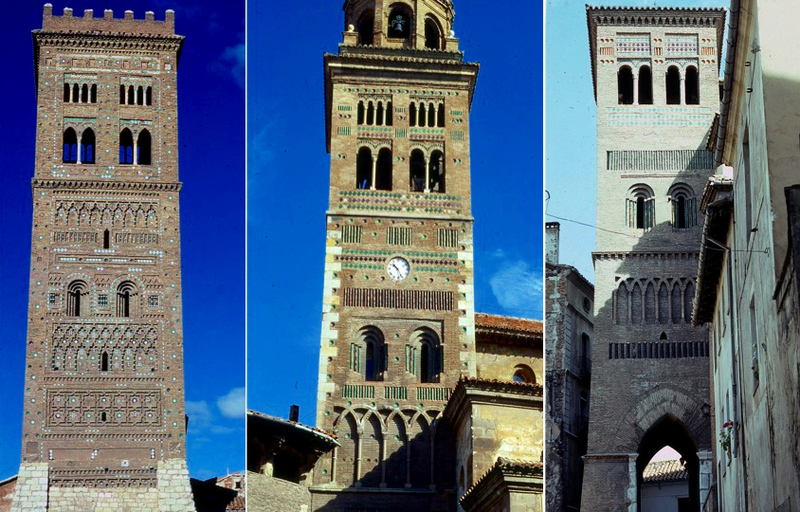 Therefore, Teruel attracts visitors from all over the world in order to see its beautiful Mudéjar Towers of Santa Maria, San Pedro, Salvador and San Martín , which were declared World of Heritage sites in 1986 by UNESCO. 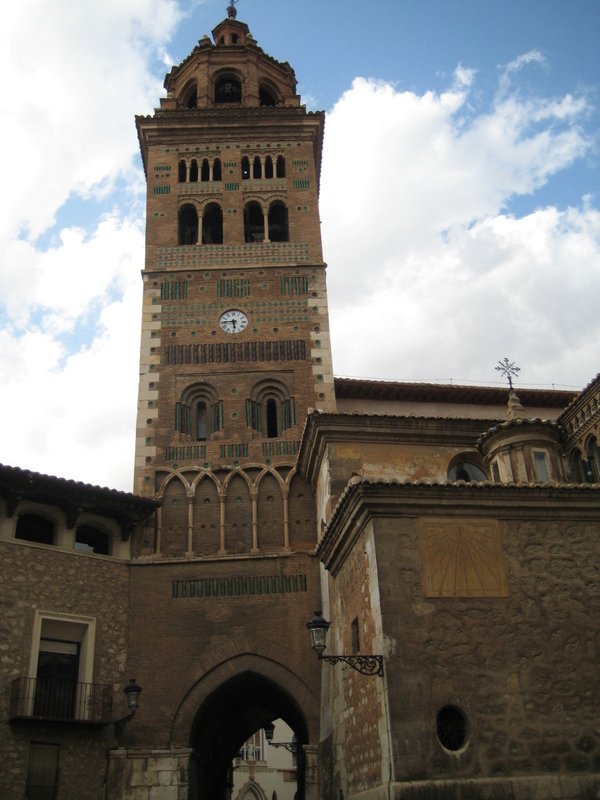 One option to know Teruel’s Mudéjar towers is to take a stroll around its streets , above all, distances are very short and are counted in minutes from Torico square to the Mudéjar towers. The San Pedro Tower was built in 1238 and is the most old Mudéjar building of Teruel city, its construction with rajolas (bricks) and green and manganese colour (dark purple) glazed ceramic tiles is very similar to Santa María Tower in the shape and decoration of its facades. 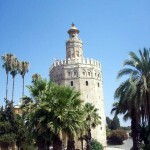 Do not forget to go up to the tower from where one can see a scenic view of the city and surroundings. Tourists should not leave this place without seeing the stunning San Pedro church which was built in 1319 and admiring the famous mausoleum of The Lovers of Teruel, all of them are worth a visit. The Mudéjar Tower of Santa María de Mediavilla Cathedral was constructed between 1257 and 1258 with rajolas (bricks) of green and manganese colours (dark purple) glazed ceramic tiles in the decoration of its facades. Moreover, the Cathedral an interesting 13th century building is worth visiting. In fact, its wooden techumbre (roof / ceiling ) has unique Mudéjar paintings. Being the most beautiful Mudéjar wooden techumbre ( ceiling /roof ) in Spain. 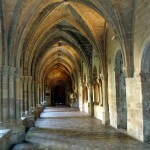 These paintings were also declared a World Heritage site in 1986 by UNESCO, dating in the 13th century. The San Martin Tower was built between 1315 and 1316 in Mudéjar style, being very similar to tower’s Salvador in its construction and decoration with rajolas (bricks ) and green and white glazed ceramic tiles in its facades. 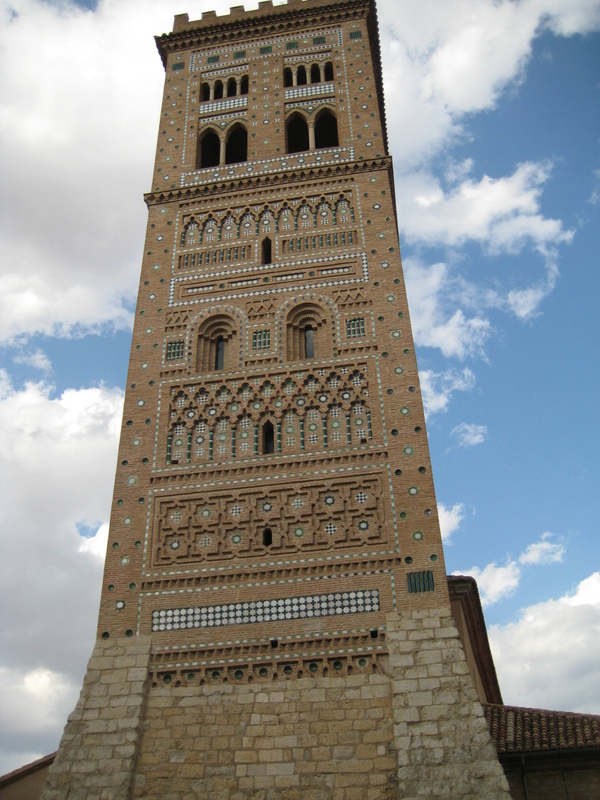 Actually, it is one of the most beautiful tower of the Mudéjar aragones art. The Mudéjar Salvador tower, which is said that is the twins of San Martin Tower, was constructed in the 14th century with rajolas (bricks) and green and white glazed ceramic tiles in its fine decoration. In addition, if visitors watch one tower when the rays of sun cover its facades, they can understand why the tower seems as if it is moving while the bright sunlight changes the colourway and the shadows of its decoration. It is said that the towers Mudéjares should be stared in different days to be able to enjoy its artwork. Teruel is between Zaragoza ( 173 km. ), Valencia( 140 km. ), Madrid (300 km. ) and Barcelona (409 km.). Teruel has about 36000 inhabitants. It takes about one day to visit this city on foot. – Plaza del Torico: The Torico square is the most famous landmark of Teruel. The city is not only popular with the tourists because its restaurants and surroundings but also its festivals, its typical porches, the beautiful buildings, its architecture, its museums, its gastronomy and so on. 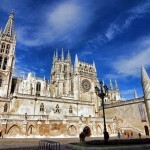 – Aragón: Read here more about this region, placed in the north-east of the Iberian Peninsula and in the south of France.